The drama continues in The Fall of Kings Nigerian Traditional Movie (Part 2) - starring Patience Ozokwor, Sam Dede, Pete Edochie, Justus Esiri, Fred Aseroma, Ofia Mbaka, Chinedu Anuche, Comfort Idongesit. This movie is the sequel to "Kings Fall Apart Part 1&2". Watch, Comment & Share! Amankwo, under the leadership of King Akubuilo -Pete Edochie-, could be likened to paradise in miniature. Everyone was happy as the land flourished day after day. The white man arrived to introduce a new religion Christianity to its settlers. Although King Akubuilo embraced the idea his son and the only heir to the throne, Prince Ezechi -Sam Dede-, was an impediment to the development of the religion. Ezechi became King after killing his father and his reign was chaotic. He was feared by all as he killed, tortured and took over his people's belongings by coercion.. 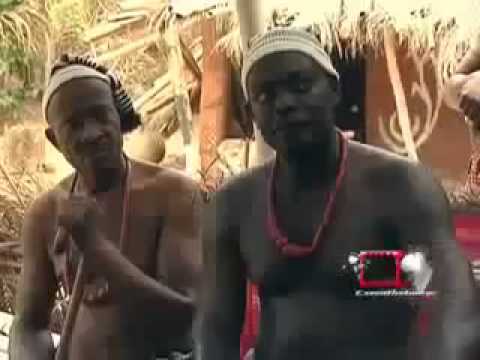 He killed Uchegbu and his son Obika whose head he dumped in the Iyi river over a piece of land. This angered the Iyi goddess as she sent six men headed by Ikeagwu -Justice Asiri- on a mission to bring vengeance to its deity and the land of Amankwo. Will Ikeagwu and his able-bodied men be successful? The answer lies at the end of this intriguing story.